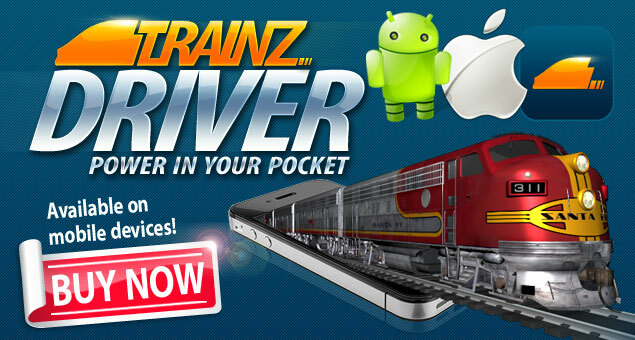 Trainz Driver - on iPhone and Android Phones! The #1 Ranked "Trainz Simulator" iPad app has now been customized for iPhone, iPods and Android phones. Trainz Driver really delivers the goods! Trainz Driver puts you in the cab of a variety of locomotives from around the world. Choose from the "Easy Mode" speed controls, or the more advanced "Realistic Mode" control system. With multiple camera modes you can fly alongside your favourite train, admire the view from the cab, or watch from track-side all while you interact with industries and passenger stations, picking up and dropping off freight wagons, people, and more! Expand your experience: You can also create your own Routes and Sessions in Trainz Simulator for iPad and Android Tablets (available for separate purchase) and then share them with Trainz Driver users through the Download Station. Hundreds of user-created routes are already available, free to download.